TBWA\London has resigned its £25m Muller Dairy advertising account following creative differences. 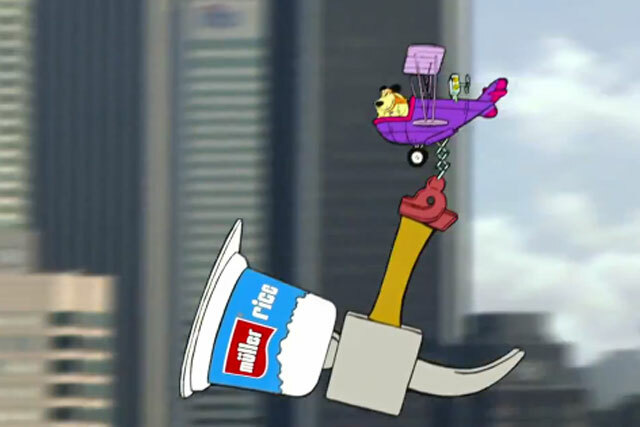 The agency is parting ways with Muller following the yoghurt-makers decision to return to a more conventional form of advertising, moving away from the agency's more radical strategy to engage new audiences. TBWA\London launched Müller's £20m advertising campaign, 'Wunderful stuff', it's biggest ever, in October, which included cartoon characters from the 80s such as Yogi Bear and Mutley dancing in a street. The agency will continue to work with Muller until a replacement agency is found. Müller's marketing director Lee Rolston left the company last month after holding the role for just over a year. His departure was part of cuts to senior management and a shake-up of its UK business, which also saw the exit of the company's UK chief executive, Gharry Eccles. Eccles was replaced by Ronald Kers, chief executive of Nestle's Austrian and Slovenian operations, who will now run the UK operation. In February Muller consolidated its advertising account into TBWA\London after a winner-takes-all pitch involving its other roster agency VCCP. The agency has worked with Muller since 2004 after winning the UK account from Publicis. Robert Harwood-Matthews, president at TBWA UK, said: "We had some brave clients and we all know we did something wunderful, no regrets." Muller was unavailable for comment at the time of publishing.